You’ll no doubt be aware of the intensely competitive healthcare landscape, placing ever increasing pressure on new treatments to become a market success and reach the patients that need them most. As well as expertise in product features, clinical data, patient benefits and competitive intelligence; we’ve found that sales representatives are also developing their sensitivity and understanding of the unique needs, challenges and goals of their customers. Emotional Intelligence (EI), popularly defined as ‘the ability to monitor one’s own and other people’s emotions, and to use emotional information to guide thinking and behaviour’ helps sales teams empathise and place themselves in the shoes of their customers, carers and crucially, patients. From working with our clients, we know that EI is already starting to appear on sales training agendas and it is filtering down into specific emotional selling techniques for even better customer relationships. We’ve also found that old sales training formats are being redesigned to allow these new skills and competencies to be developed. In line with this shift, blended learning is an opportunity offering flexibility and space to experiment with EI and putting new methods into practice. Blended learning uses the most effective and engaging communications tools for each stage on the training journey and this sometimes challenges traditional teaching methods. In the past, training might have been ‘lecture style’ to a relatively passive audience. Today, this learning can happen away from the training environment - through digital channels. Similarly, traditional ‘home study’ activities can take place in a face-to-face setting with the trainer. This switch is called the ‘Flipped Classroom’. 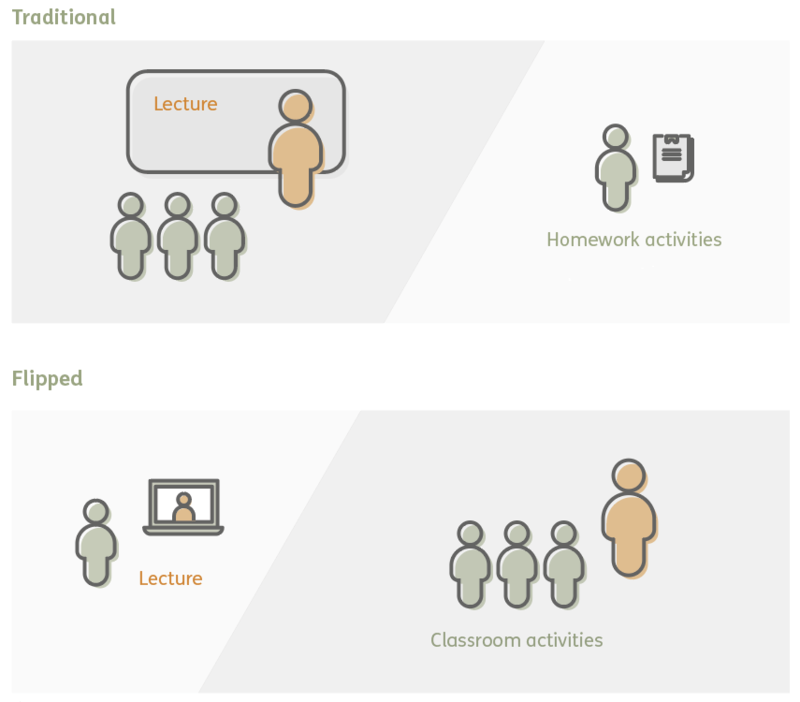 The flipped classroom (Figure 1) ensures that the trainer’s time is not taken up ‘delivering’ information which could as easily and more effectively be shared digitally. Instead, their time is prioritised for rich, interactive face to face sessions where they add real value and focus on developing skills of the learners. Making use of both face to face and digital communications, the flipped classroom aligns perfectly with blended learning approaches. 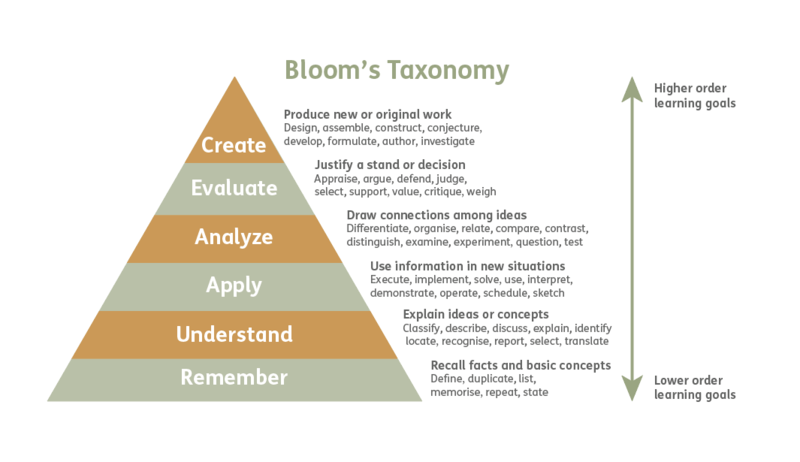 We’ve found Bloom’s Taxonomy (Figure 2), an educational goals model, useful when recommending communications tools within training journeys. Product information and clinical data can be remembered and understood (the first two goals in Bloom’s model) remotely using digital channels such as video or animation. The learner can learn at their own pace and in a location of their choice. They also have the chance to re-watch part or all of the content to check, recap or reinforce the information. Group face-to-face sessions with the trainer can focus on higher order learning goals such as applying, analysing, evaluating and creating. Interactive sessions often include games, role-plays, and group work activities, which may be verbal, visual, physical or completed using digital tools. During these tasks, the trainer facilitates, challenges and develops the learning taking place. In line with our clients’ strategies we craft tasks that develop EI and support emotional selling to meet unique customer needs. This might be through analysis of customer profiles, evaluation of effective openings, active listening techniques, applying different sales styles and/or creating complete customised communication approaches that suit each customer. When it comes to training in healthcare, EI and emotional selling are rising up the agenda and there are a number of tried and tested methods from the classroom to be explored. By combining EI and sound educational theory, we have an opportunity to explore new ways of connecting people, using methods that always put people first. After all, positive impact on patient’s lives is a primary goal for all sales calls. With materials being reviewed up front, learners are better prepared, and this preparation brings many of them to a similar level of knowledge and understanding before an active session takes place. Blended learning environments are flexible allowing learners to self-pace and learn at times and in locations to suit their circumstances, using purposeful technology to enable this. This flexibility is particularly beneficial for sales teams who are typically spread nationally and internationally with a wide range of work experience. Blended learning makes the best use of the learner’s and the trainer’s time. Less time is spent talking or lecturing to a passive audience and more time is spent working interactively with the learners on practical applications and sales techniques. With more time for discussion, questions and activity in the class, the trainer has more time to personalise the learning for individuals and groups making the learning more learner-centric. As with any training or learning materials, it is vital to consider different learning styles to ensure the materials are accessible to all. The main learning styles are Kinaesthetic, Auditory or Visual. Across a blended learning journey, communications are produced across multiple media options ensures that all learning needs are met.